DURING the Sydney Mercedes Benz Fashion Week, Sunglass Hut will debut the first ever eyewear runway show. The team at Sunglass Hut will be on site for the second year running to showcase an exclusive collection spanning over 90 pieces from the latest luxury eyewear brands. 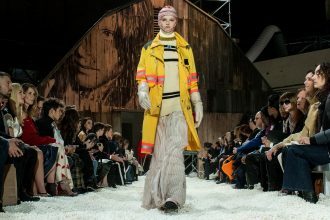 “To partner with Australia’s authority fashion event is completely aligned with our brand positioning and we are thrilled to be able to offer this unique runway concept that provides an interesting engagement mechanic for guests,” said Sunglass Hut vice-president Asia Pacific, Phil McNutt. World acclaimed street style photographer, Street Peeper, will document the experience throughout the week as an exclusive guest of Sunglass Hut.